A blast at the Maalbeek metro station in Brussels has killed at least 20 people according the Belgian television station VRT. The explosion took place less than an hour after a deadly airport bombing, which killed at least 14 people. The Belgian broadcaster, cited by Reuters, mentions that the death toll has reached at least 20 people. 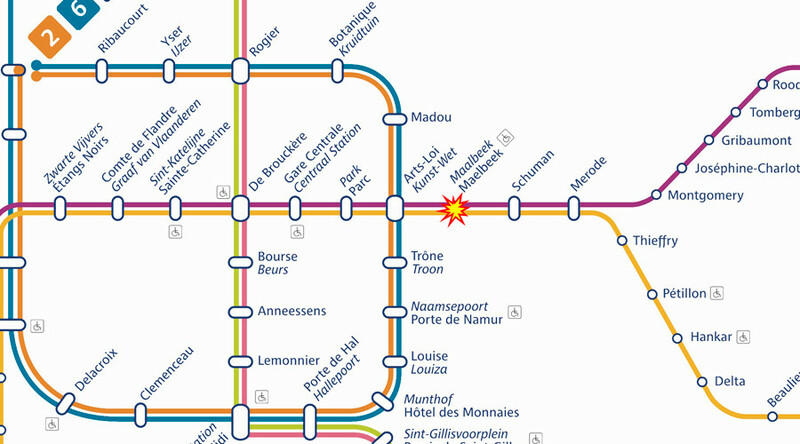 The Brussels mayor Yvan Mayuer also confirmed that at least 20 people had been killed following the blast on the metro. "There are some 20 people dead and 106 people injured. 17 people are severely injured," he said. The Federal Public Prosecutor Frederic Van Leeuw confirmed that the Maalbeek metro station blast was a terrorist attack, according to the Belga news agency. Large amounts of smoke were seen coming out of the metro station in the Belgian capital. Brussels’ transport authority says all metro stations in the city have been closed, Reuters reports. An AP reporter said he say a number of people with facial injuries following the explosion at the Maalbeek metro station. Alexandre Brans, who was wiping blood from his face, said that he saw at least two people being carried away on stretchers. "The metro was leaving Maelbeek station when there was a really loud explosion. It was panic everywhere. There were a lot of people in the metro," he said. Images on social media have shown passengers being evacuated from inside the metro and walking along the train tracks. "It is just a pure chaos at the moment on the streets," Annie Machon, a former intelligence officer for MI5, who lives in a Belgium capital told RT. "The metro bombing was in Maalbeek, which is indeed 5 minutes down the road from me. The whole of the area is just now in lockdown, the sirens going off everywhere, there are helicopters overhead," she added. The Maalbeek station is also near a number of important EU buildings such as Berlaymont building, which houses the EU Commission and the Council of the European Union. Staff working at the EU commission have also been told to stay indoors. Belgian authorities have raised the security alert to the highest level following blasts at the Zaventem Airport and Maalbeek Metro station. Due to the current security situation in Brussels, the city’s transport authority has closed all public transport services. Eurostar has taken the decision in the wake of the attacks to cancel trains running to and from Brussels on Tuesday. Staff have told people not to come to the station and that tickets can be exchanged for free. "No trains are currently running to or from Brussels Midi," the high speed rail service said on its Twitter feed, as cited by Reuters. "Brussels customers are advised to postpone, and not come to station." Meanwhile, a crisis center in Brussels has been telling members of the public to “stay where you are.” The Belgian Prime Minister Charles Michel has also issued a similar plea to the people of Brussels. The general public in the Belgian capital is also being advised not to call friends and family as the phone networks are becoming saturated. Instead, people are being asked to text or use social media in order to stay in touch with friends and family. “My thoughts with #Brussels and its citizens after these heinous attacks. Stay in a safe place, follow instructions of authorities,” he wrote on his Twitter feed. 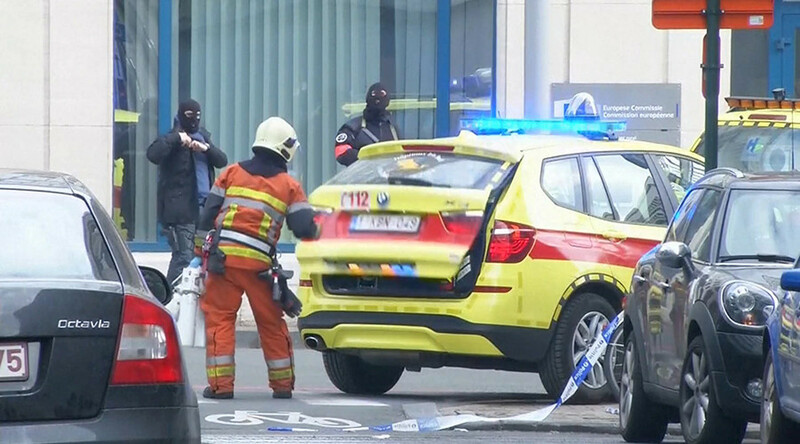 The French BFMTV station, citing police sources, says that Belgian intelligence had advanced knowledge of the terrorist attacks in the country, but did not know when and where they would take place. French citizen Salah Abdeslam, the prime surviving suspect for November's Paris attacks on a stadium, cafes and a concert hall, which killed 130 people, was captured by Belgian police following a shootout on Friday.